Just hiring a “salesperson” won’t work. You need to fully understand what a Sales Development Representative is and what their responsibilities should be. You need to have a sales strategy that draws potential buyers in, and another strategy that goes out and finds clients from scratch. To do this, there are two primary roles that should be a part of the sales team. These roles are the Sales Development Representative (SDR) and the Business Development Representative (BDR). This post aims to give you a detailed look at the Sales Development Representative role. Loose terms and poorly defined roles and sales terms will, at best, cost you money. Over the long haul, an unclear sales process will give the competition an opportunity to surpass you in their ability to woo leads effectively; potentially causing significant harm to the health of your company. A Sales Development Representative is often used interchangeably with another sales role called a Business Development Representative (BDR). While this is common, it’s not accurate—yet another thing we hope to clarify with our sales definition post series. What is a Sales Development Representative (SDR)? Sales Development Representative (SDR): A type of inside sales rep who focuses more on inbound lead qualification, moving leads into and through the sales funnel, and setting up sales qualified appointments. You’ve probably seen a “How It’s Made”, right? A product is being made in bulk, mainly through some type of automation, but there are always real people checking the quality of what’s moving by on the conveyor belt. Someone has to be there to make sure things are running right, pick out the defectives, and push the quality stuff to the next stage of the process. This is a decent illustration for an SDR. Basically, they work the line. By focusing more on lead qualification, they play a crucial (and often missing) role in the sales and marketing of an organization. A lot of the process can be automated (like most of the products on How It’s Made)—but sales is about having a conversation with the right people. SDRs often times start that conversation with leads by reaching out and taking them through the early stages of the pipeline, either getting them ready to talk with a closer or finding out they’re a suspect with no intention of buying at all. SDRs are usually compensated and rated based on the number of sales qualified appointments (SQAs) they garner for the company. Now that we have a basic look at the term, let’s deep dive into the role and the benefits that an SDR can have in a healthy sales machine. What Do Sales Development Representatives Do (Exactly)? While the example we used of a conveyor belt may have given you an idea of the responsibilities entrusted to an SDR, it’s quite a bit more than that. Sure, anyone who works on a conveyor belt has to be skilled to notice defects of product whizzing by quickly. But they don’t have to worry about the products avoiding contact, constructing barriers to keep them from being spotted, and (hopefully) will never have a manufactured good telling them that it doesn’t want to be sold. SDRs face these problems and more in an effort to figure out whether or not a given or found lead is a fit for the things they are selling. 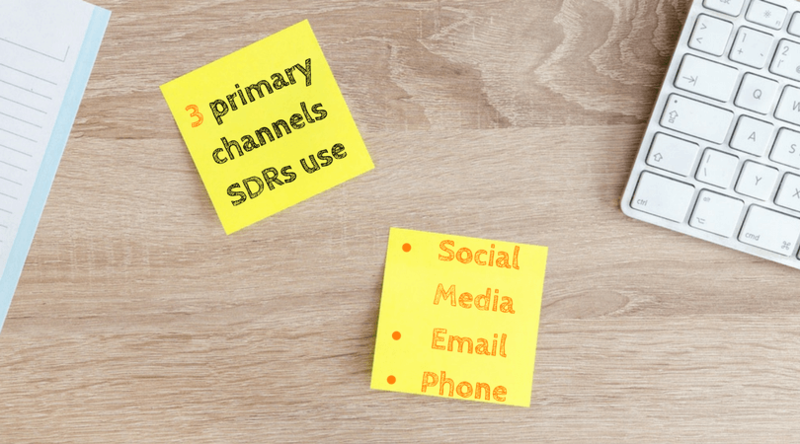 There are three primary channels any SDR worth their salt will use to stay on top of the minds of the leads they’re working on. Using networks like Twitter, LinkedIn, and (to a lesser extent) Facebook are vital in the B2B climate today— especially when it comes to the tech and software space. Sales Development Representative’s use this tool as a means to convey knowledge, set themselves up as experts in the solution offered, and to show themselves to be relative experts in the field or industry of your leads. For instance, if you sell inventory software for small chain restaurants, a good SDR will share valuable resources (both that belong to your company and elsewhere) to that end. The key is to provide extreme value, not regurgitate lame information. Bonus Resource: CoSchedule wrote a monster blog post called 30 Social Media Engagement Tactics to Boost Shares and Conversions. It’s incredible. The awesome thing about this type of outreach and lead nurturing is the automation factor. Using a tool like Buffer or MeetEdgar, you can literally build a library of posts and circulate them regularly. Bonus Tip: Be sure reps include a bit about themselves, too. Don’t get uber personal, but showing off personality humanizes the process. They’ll likely relate better when SDRs are reaching out on an individual basis. Another way SDRs use social media is to dig up information that could help qualify leads. Through the use of tools and social profiles, reps can find contact information and scope out to see several things about individuals who are part of a target brand. Social media, LinkedIn mostly, is great for reaching out and introducing yourself. Finding leads through research, or using a software product, will usually lead you to a prospect’s profile. Adding them to your network and starting the conversation is a popular and effective method of introduction. But that’s a post all to itself. Sending cold and warm-ish emails is a primary function of the SDR role. Email and phone communication should work hand-in-hand to qualify a lead. Your reps should be well-versed in sending emails that get responses. Writing emails for both outreach and the funnel sequence will be a regular part of the job description. Copywriting should be a skill that is learned and constantly improved upon. The responses to emails help find decision makers, educate potential buyers, and warm up prospects. Here are a few pointers to keep in mind for your Sales Development Representatives. The headline should be punchy and enticing, but the body of the email should read like, well, an email. If your reps start sending long-form sales copy via the electronic mail, it’s probably spam—even if it’s good. Focus your reps, not on sounding personal, but being personal. If you’re reaching out to 50-100 leads a day, it’s possible to be more intimate with each lead. Larger mass emails may be more difficult, but more personalization typically leads to a greater response rate. Don’t just target the decision maker. Talking with the direct and indirect influencers help good SDRs work their way into meetings and discussions among buying teams more often. If more than one person has regular communication with an SDR, they are likely to become a prime prospect. With reps writing both personal emails and filling up the pipeline with sequence content, there is a lot that can go wrong. People who are customers could keep getting sales emails, resources could be sent twice, etc. Detail-oriented reps should use a CRM like a skilled craftsman. The phone is often the most telling part of an SDR’s job. The primary responsibility for this sales role is to qualify leads. That job entails finding and filling in data of target accounts, nurturing inbound leads, and identifying both suspects and prospects. Doing this as quickly as possible for each lead is crucial to the conversions of your company. One of the quickest ways to qualify a lead is to have a genuine conversation with decision makers about their current solution and needs. If you can get the right someone on the phone and ask the right questions, you’ll quickly be able to send them to close or bid them adieu. This is why sales development reps are tracked and compensated by the sales qualified appointments (SQAs) they are able to set up. Note: If you have a detailed marketing funnel and lead scoring system, SDRs should be a liaison between the marketing and closers. The step in-between departments is often called a Sales Accepted Lead (SAL). SDRs should be able to identify the readiness of SALs extremely quickly and ship them to an SQA (now say this sentence ten time fast). 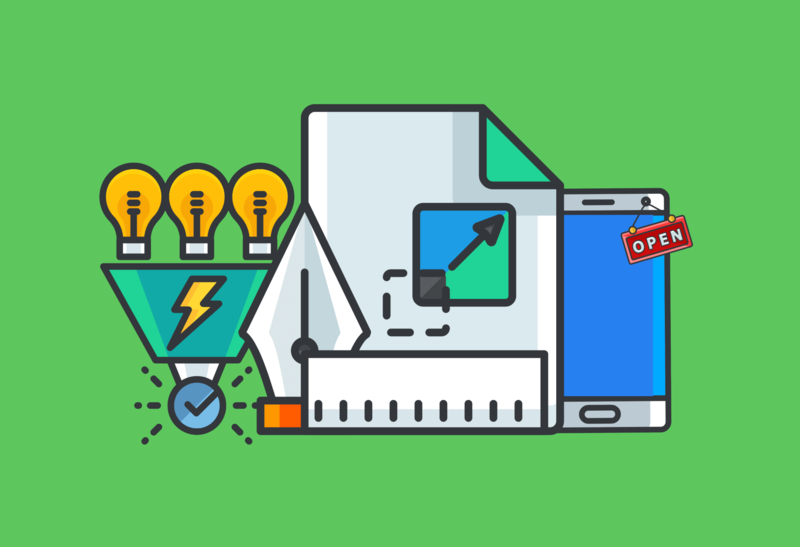 Bonus Resource: For an idea of what an ideal day looks like for a Sales Development Representative, take a look at this post from SalesHacker. It’s a pretty good reference point. Companies, like SalesForce, have used this role to explode growth. Adding this step in the sales process ensures that good leads get to the pitch and bad leads get removed from the pipeline. It’s also the best way to turn lukewarm leads hot. In order to get the full effect, it’s important to understand the role and the right people for the job. After reading this post, could your organization use SDRs to increase revenue? Hey Josh, this is better than Wikipedia! Great stuff. Thanks for sharing this. Thanks for the kind words, Jyoti. I’m glad you got something from it! Thanks for putting together this post on Sales Development Representative .It is a great read. I particularly find your thoughts about social media interesting. Thanks, Geoffrey! Glad you got something out of it. Thanks for sharing. I run a small but growing sales organization. The roles of SDR and BDR are combined. This will help me to separate them roles to fuel faster growth.